Dish Network's first quarter earnings report may sum up the problems and opportunities for cable TV providers in the age of cord-cutting. Dish reported that it lost 143,000 pay TV subscribers during the three month period, even as it brought 547,000 new subscribers online. At the same time, the company's average revenue per user (ARPU) dropped below $87. Dish owns over-the-top (OTT) service Sling TV, which streams a package of live TV programming, similar to basic cable, starting at $20 a month. That makes it an attractive alternative for consumers seeking to get away from $100-plus cable TV bills. "While the company does not disclose standalone numbers for Sling TV currently, we believe that the net Sling TV subscriber adds have helped reduce the rate of decline in the pay-TV subscriber base," Forbes reported in its coverage of the Dish earnings call. "Since many of the pay TV additions were for Sling TV, which is offered at a lower price point, the company’s Pay TV ARPU declined to $86.55 from $87.94 a year ago." "Sling TV was the first to give customers pay TV without long-term contracts, credit checks or strong arm sales tactics and we remain focused on providing consumers with the best entertainment experience, Roger Lynch, Sling TV's CEO told ConsumerAffairs. It might seem counter-intuitive for Dish to offer a cheaper service for consumers who want to cancel their subscriptions, but these consumers are going somewhere. The thinking is to keep them in the family, even if they're paying less. It is but one example of how full-service pay TV providers are coping with the new environment. Gary Guthrie, of Louisville, Ky., found his cable TV company ready to deal when he called to cut the cord. Guthrie figured that he could lower his monthly bill from $120 to $50 by dropping TV and keeping internet. "When the cable folks got hold of me, they whined and kept passing me around to 'retention specialists,' Guthrie told ConsumerAffairs. "Finally, I cried 'uncle' when they gave me basic cable and internet for $65. In retrospect, that was a better deal than I thought because besides the local channels, I could access a lot of programs and channels on demand, albeit delayed, and continue my DVR service." For Guthrie, that's worked out relatively well. He signed up for a couple of video streaming services for more on-demand content. Unfortunately, however, his basic cable package did not include ESPN. "That’s when I found Sling TV," Guthrie said. "It had a tier that had ESPN’s channels and the cable news channels for $20, so I figured I could swing with that for three to four months and get my basketball fill." But he reports a few technical issues with buffering, and making Sling work seamlessly with Google Chromecast. He also found a lot of the games he wanted to see were blacked out. Now that basketball season is over, he's dropped Sling and paying a total of $75 for cable, a streaming service, and internet. Major pay TV players have sharpened their pencils in recent months to attract new customers to make up for the ones who are cutting the cord. Direct TV, recently purchased by AT&T, has a two-year basic TV package starting at $50 a month for the first year, but it jumps to $90 a month for the second year. Verizon Fios offers several bundles of telephone, internet and TV, with all three costing a total of $80 a month for the first year. But as cable TV customers quickly learn, there are additional charges for boxes and modems. Comcast's Xfinity HD Triple Play, including phone, internet and TV, starts at $140 with a two-year agreement. But as Guthrie found, that's just the asking price. With the major players, a two-year agreement is standard. If you cancel before then, you'll pay a prorated early termination fee. But if you are out of contract with your current provider and thinking about cutting the cord, it might pay to call and threaten to leave, just to see how accommodating your current provider might be. 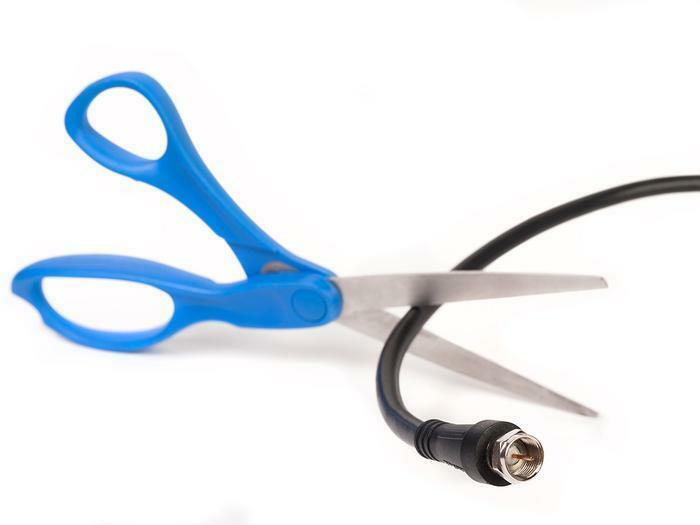 The number of cord-cutters is still relatively small, but it's growing. Pay TV companies know this and are looking for creative ways to keep their customers connected. Learn more about Cable TV and streaming video providers.